What did you resolve to achieve when it comes to cosmetic enhancements in 2016? Dr. Amerian and Dr. Anterasian want to help you turn those resolutions into successes. Our January specials are all about transformation. Start the new year with a new you! If You’ve Resolved to Lose Weight…. If your big resolution this year is to drop fat and lose weight, come in for a SculpSure treatment and discover your new body. This FDA approved treatment provides non-invasive fat reduction in the abdomen and love handles. Resolving to lose fat has never been this easy! This month, come in for a SculpSure treatment and get free Botox or Juvederm. 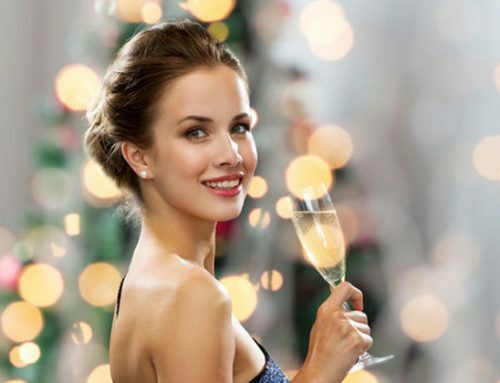 Slim down your body and rejuvenate your face … the perfect way to usher in 2016. You’ll pay just $1400 for both treatments. If younger looking skin tops your list of resolutions this year, come in to Santa Monica Laser and Skin Care for our Fraxel Dual special. This month, receive two Fraxel Restore Dual treatments for $1975 and get free Botox or Juvederm. The Fraxel Dual combines two different laser treatments (original Erbium based Fraxel Restore laser and an innovative Thulium laser) for stunning, rejuvenated results. This treatment can remove brown spots, smooth skin, fade fine lines, and more. Just one or two treatments can produce dramatic, lasting change in the appearance and quality of your skin. For patients needing a few treatments, we’ve also discounted our package of three treatments to $2875 with free Botox and Juvederm. For patients wanting to tighten skin in the new year, we’ve got a special for you. Our Fraxel Repair laser treatment is on special this month for $3050 and includes free Botox or Juvederm. This treatment is powerful and only one treatment is needed for stunning results. You’ll have a few days of downtime but, once you’ve healed, you’ll enjoy tighter, smoother, rejuvenated skin. Skip the drugstore skin creams and try something that actually works. Fraxel Repair can transform your skin. Got a double chin? Banish it with Kybella. This non-surgical injectable treatment dissolves fat for permanent reduction in your double chin. Treatments are quick and require minimal downtime. Just 2-3 treatments are needed for noticeable results. If you struggle with a double chin even though you’re at a healthy weight, Kybella can improve the appearance of your profile and transform your face. This month get free Botox or Juvederm with the purchase of 1 or 2 vials of Kybella ($600-$1200). Which of these treatments will turn your resolution dreams into a reality? With free Botox or Juvederm, each of these January specials can help you discover a younger looking you. Call us today and book your appointment!